L3 Promotion Gallery of Isetan Scotts. Discounts of up to 70% off Hugo Boss Merchandise. 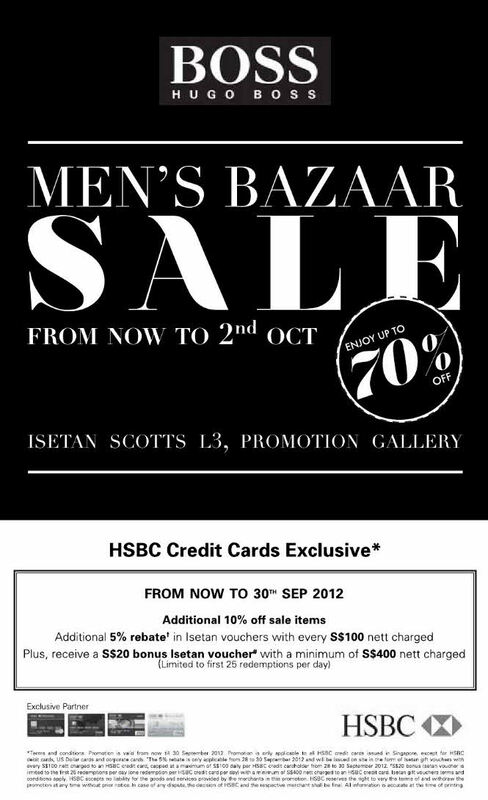 HSBC Credit Cards Holders enjoy 10% more discounts off sale items (until 30 Sept).